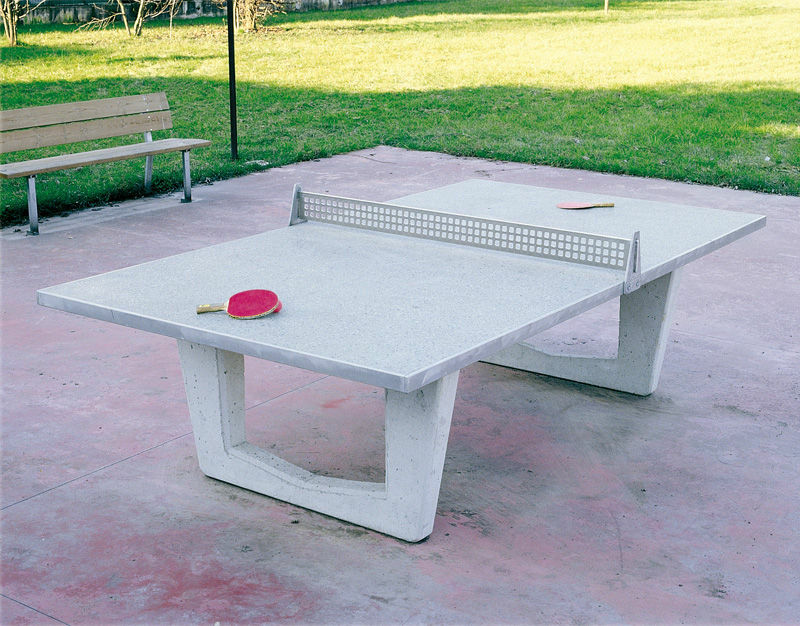 Very solid outdoor table for table tennis. Composed by a concrete block with an approximate weight of 800 kg. 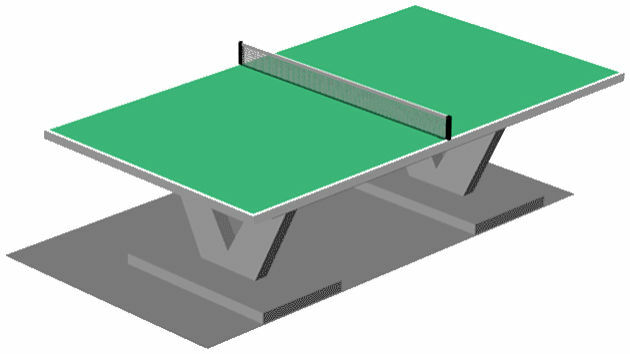 The table surface is sanded and treated with a green coloured varnish for outside use. All edges and corners are rounded. The net and the borders are made of aluminium for a maximum guarantee of durability and resistance. Regular dimensions. Realized in concrete blocks.